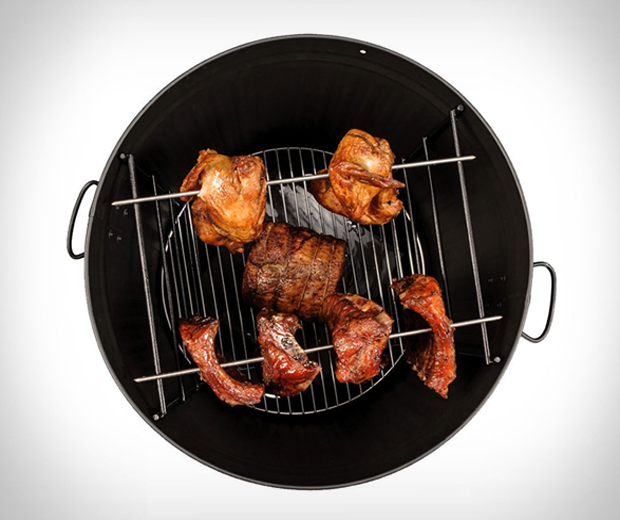 As the summer months approach there are two things you'll begin to smell - the delicious aroma of charred meat and the musty stench of hot garbage. 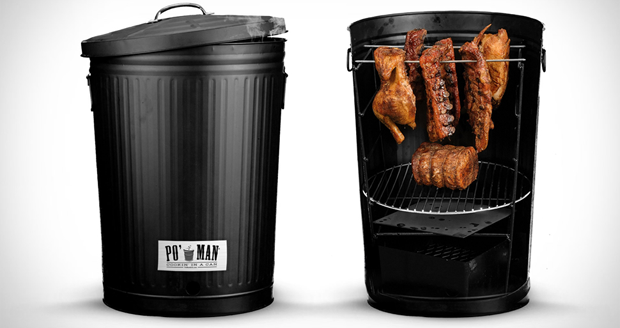 So why not combine the two with this wonderful Po Man Charcoal BBQ Grill! 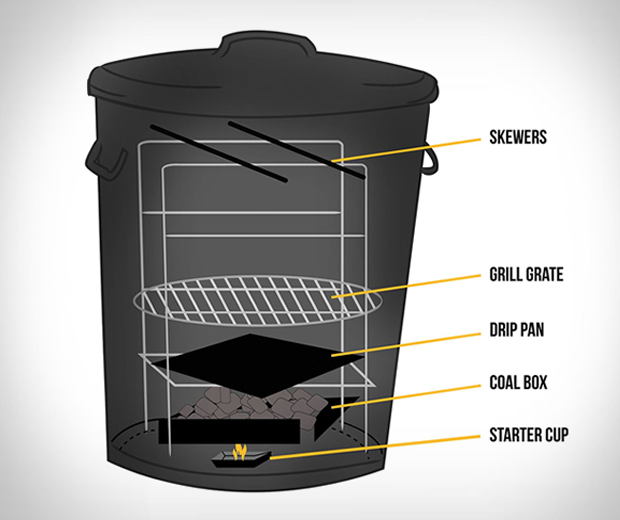 This bit of kit is a fully working charcoal grill disguised as a regular trash can, so not only can you throw meat on it for cooking al-fresco, but inevitably some idiots will think it’s a regular garbage can and use it to store their trash. Inside you'll find a coal box, starter pan, skewers and a temperature adjusting vent, but none of this will matter when you realise someone has thrown a used diaper on top of your lightly charred steak. I think it'll enhance the flavour if anything.